A valuable heroin consignment is lost, dumped into English Bay by panicking couriers. Psychopathic millionaire Gary Silk is furious and will kill to reclaim it. As an example, one of the men responsible must be ‘executed’. Al Paterson, a businessman facing bankruptcy, stumbles across the heroin by accident. Can he recoup his fortunes with some illicit dealing or is he out of his depth? A blood-stained car is found, abandoned. Willows and Parker are called in to investigate a possible homicide: there is evidence of a gunfight, but no apparent victim. Then a body is pulled out of the harbor … and a narcotics king, double-crossing henchmen, an amateur hustler and police are to converge in a shattering denouement. At times brutal and uncompromising, laced with black humour, Hot Shots is an action-packed read, a compelling crime novel from an award-winning author. 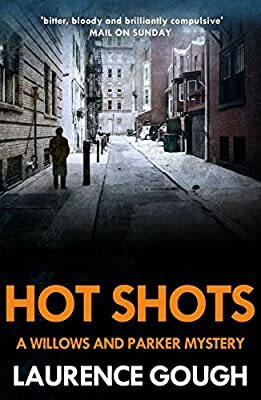 Hot Shots is the third in Laurence Gough’s excellent Vancouver police series featuring Detectives Jack Willows and Claire Parker, following Death on a No. 8 Hook and The Goldfish Bowl. Laurence Gough resides in Vancouver, British Columbia, the city and its scenic surroundings providing the backdrop to his novels. A playwright as well as a novelist, he has had more than fifty plays broadcast by the Canadian Broadcasting Corporation, while his fiction has garnered a number of awards, including Arthur Ellis Awards for Best First Novel and Best Crime Novel of the Year and an Author Award from the Foundation for the Advancement of Canadian Letters.